As the phenomenal 2015 winds down, I started thinking about all the greatness that was wrapped up in the last 12 months and it’s hard to believe all of the things that have happened since last January. Just writing this post has been eye-opening! First off, about this time last year, I coaxed my graphic-designing-librarian-buddy Kristi Taylor (of Keen Bee Studio ) into crafting a logo for this new blog site. She helped me set up this new host for my blog and generally made my life more awesome. 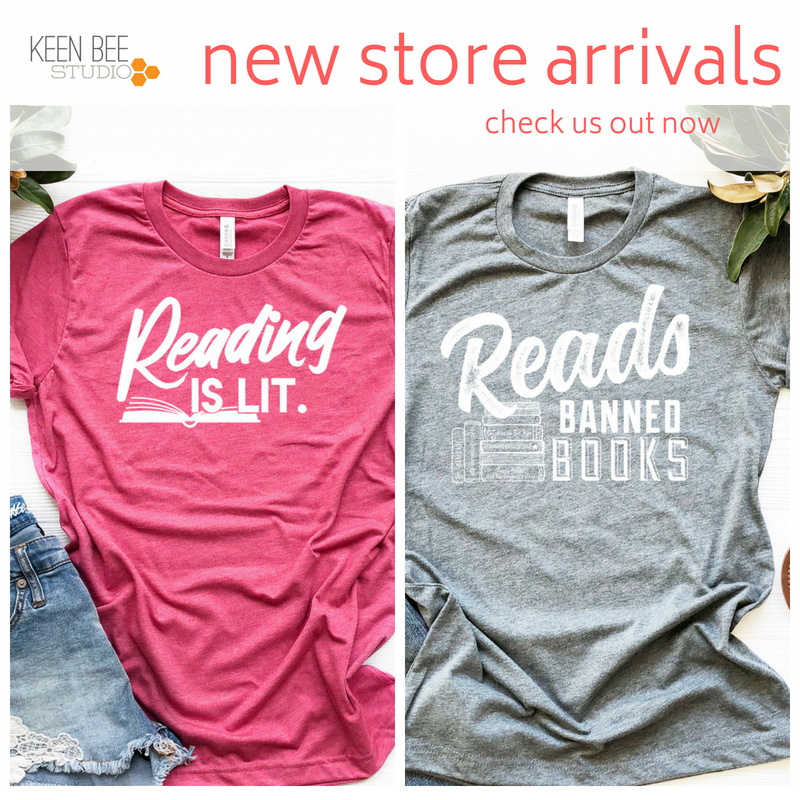 She also makes really great shirts for librarians. You can check them at Teespring or Etsy. After a year of blogging at WordPress, what do my readers enjoy the most? Librarians really enjoyed my Social Media as Library Advocacy posts part one and part two. However, I was most surprised in reviewing my stats to see that my review of popular robots (Sphero, Dot/Dash, etc) is the most viewed post of 2015! Because of this you’ll be reading a lot more reviews in 2016. I’m already planning on talking about my favorite wearable resources, Kano computer kit for kids, and the new Makey Makey Go. And of course, people love reading about the #makeymakey challenge between my Lamar students and Diana Rendina’s students. If you haven’t read it, you should because Diana and I have some big plans for 2016! My top pages of course are my makerspace resources; makerspace lessons by resource; and shiny, new #elemaker resource page. Diana Rendina and I began the Makey Makey challenge in January. (We challenged our students to make their own games in Scratch and design game controllers to match the theme of the game.) I quickly realized we needed MORE to get the kids beyond the banana! I asked the Makey Makey guys through Twitter if they would chat with us and they said, “YES!” And that is pretty much the beginning of awesomeness in 2015. The whole team spoke with my students at Lamar and really got us thinking about inventing and innovation. Read more about the Makey Makey Challenge here. 2015 was a big year for presenting for me. I started off by presenting at TCEA with Leah Mann, Deanna Segler, and Tina Beruman on STEAM powered Libraries right after Lamar’s chat with Makey Makey. Emboldened by the mentor expert chat and challenge-based learning, I found I really enjoyed speaking. In March, Leah and I presented together again at SXSWedu by leading a core conversation on STEAM and Makerspaces in libraries to a full house of international edumakers. Our convo is included in this write-up by SLJ “Maker Librarians Bring it to SXSWedu.” It was so amazing, fun, and educational, but I’m sad to say that the recording didn’t make it. I wish you could’ve been there. Read my SXSWedu takeaways here. I did a few regional conferences over the summer, led a full day workshop for Librarians in Round Rock,Tx, and led a half day workshop in South Padre during a STEAM convention for Region One librarians this past October. This summer I was asked to lead a webinar for librarians on “How to Start a Makerspace” during SLJ Maker Camp, and I was presently surprised to see that Jay Silver would be sharing the hour with me and answering Q&A at the end. SLJ enjoyed it so much, they asked me back for the Oct SLJ MakerCamp and this time I closed the whole four week session with a webinar on “Makerspace Buy-in.” You can see my presentation in this post and read the write-up by Melissa Techman here. October was pretty busy as I also led a littleBits webinar with SLJ to showcase my new Librarian’s Guide to littleBits. It’s like a novella on using littleBits in public, school, and academic libraries. More on this guide in the next section. In May, I had an article published in School Library Journal on the “Evolution of a Makerspace ” at Lamar. I was also asked to write an article for Edutopia on Starting a School Makerspace from Scratch. The chat with the Makey Makey guys in February led to a conversation with the team about Makey Makey lessons for their webpage. (If you want to know the whole story, read more here.) I spent the spring and summer making stuff and coming up with new ways to utilize the Makey Makey in education. I hacked some existing projects and attempted to make them educational. One thing I’d always wanted to try was the Operation game, and I’m pretty proud of the way I turned it into a math/science lesson! Aaron also helped me with updating the eternal physics/hot-wheels lesson by upgrading it to include a Makey Makey switch and Scratch timer. See all Makey Makey lessons here. At the end of the summer, littleBits called me about writing a Librarian’s Guide to littleBits. I spent the rest of my summer break researching and chatting with other librarians about how they use this prototyping tool in their libraries. I ended up writing almost a mini-book, so please go check it out if you want to know more about using littleBits in your library! First is our Big Book of Makerspace Projects to be published by TAB/DIY an imprint of McGraw Hill. We are stoked about this one because it means we spend our weekends making stuff and writing about it. This hearty makerspace book will cover small and low cost projects, coding projects, wearables, and more! We are including projects simple enough for beginners and complicated enough for technology hobbyists/maker enthusiasts. The second is Challenge-Based Learning in the Library Makerspace to be published by ABC-Clio and co-authored with our favorite makerspace maven, Diana Rendina of Renovatedlearning.com. This promises to be a necessary guidebook for librarians beginning their makerspace journey and handy resource for intermediate/advanced makerspace facilitators ready to take that next step in student learning and innovation. Aaron and I are leading the makerspace for TCEA’s Library Academy and breakout sessions will include: Makey Makey in the Classroom, Programming with Sphero, and littleBits Challenges. I’m also leading a full day makerspace workshop in Leander ISD in February. Diana, Bev Ball, and I are presenting a snapshot at ISTE on getting more girls involved in STEM. I’ve got a few other speaking engagements that the details need finalizing, so who knows what else 2016 will hold? I also left the middle school world at the end of the school year last year, spent the summer remaking my new to me high school library, and am adjusting to life at high school. Preplanning post, visual update, artbot mania, and, programming a marshmallow, and a soldering workshop are all interesting reads on the transformation so far. This spring I’m planning on a HS Makey Makey challenge, some Sphero activities with BLAST, and an afterschool tech camp for girls. Lastly, I wouldn’t be a librarian if I didn’t talk about my favorite reads of 2015! I encourage you to check out these books if you haven’t yet! I probably read over 100 books this year, but these are the shining gems in my memory. The Rest of Us Just Live Here by Patrick Ness – I love the concept for this book. It’s kind of like the storyline for all of the “other characters” and what their storyline is like in a book like Twilight. The Honest Truth by Dan Gemeinhart – So heartfelt and a great crossover middle grade book- reminded me of Wonder. Denton Little’s Death Date by Lance Rubin – I never knew death could be so funny. The Diviners by Libba Bray -I know I know… it’s from 2013, but I’m late to reading it since I’m new to high school. Let’s just say I devoured this 600 page book in a couple of days. I love the 1920s historical Gatsby effect combined with horror, supernatural, and thriller aspects. Plus, I’m now on Lair of Dreams which did come out in 2015 and is equally awesome. Elena Vanishing by Elena and Clare Dunkel – Great memoir about a difficult subject. Learn to Program with Scratch by Majed Marji – Helped me greatly while I was teaching myself Scratch for my Makey Makey lessons. Invent to Learn Guide to Fun by Josh Burker – Just got this, but already stoked about using Turtleart to make geometrical 3D designs! Beep Beep Go to Sleep – I adored the drawings by John Rocco and loved all the robotics lingo. The Day the Crayons Came Home – My 6 YO and I almost died laughing. The Nutcracker Comes to America by Chris Barton- The story behind the story of the yearly ballet. It made my 6 YO want to know more about ballet and resulted in a trip to the library–which is always a good sign! Awesome, has had been a great year of awakening for me to !! !